You have many adoption options, and this is the perfect place to begin exploring them. Below, you’ll find Arkansas adoption laws and policies and find adoption agencies and attorneys who work with families in Arkansas. Each state maintains its own adoption policies, so the process can vary considerably for families in different states. 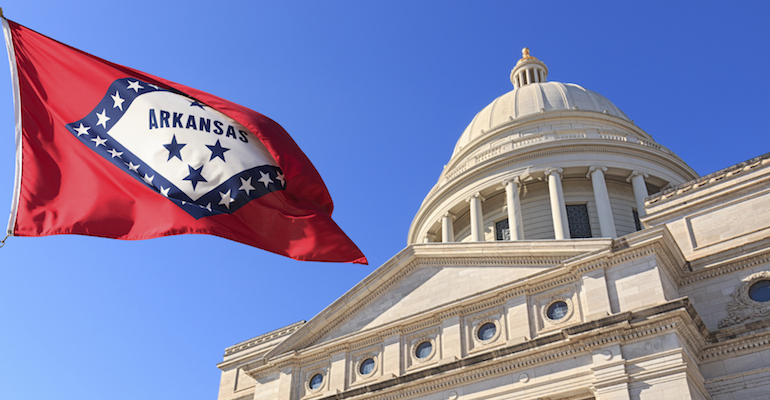 As an Arkansas resident, you’ll want to work with an adoption agency or adoption attorney who is very familiar with Arkansas adoption laws and policies. Below, you’ll find adoption agencies and adoption lawyers offering services to Arkansas families. Scroll past the listings to learn all about the legal guidelines for families adopting in Arkansas, whether you’re adopting a newborn through domestic adoption, an infant or older child from U.S. foster care adoption, or a child through international adoption. A single adult or married couple. A married individual without his or her spouse if the spouse is a parent of the individual to be adopted and consents to the adoption, the petitioner and his or her spouse are legally separated, or the court excuses the spouse by reason of prolonged unexplained absence, incapacity, or circumstances constituting an unreasonable withholding of consent. Can LGBT families adopt? Not addressed in state statutes. What birth parent expenses may be paid, and in what time period? Medical, legal, living (housing, food, clothing, etc. ), reimbursement for expenses incurred or fees for services rendered related to the pregnancy, delivery and post partum recuperation period. Expenses paid must be disclosed in an affidavit by the petitioners. When can consent to adoption be granted? Any time after the birth of the child. When does consent become irrevocable? If consent is revoked, is return to birth parent automatic? 10 days after child’s birth or signing, whichever is later. If 10th day falls on weekend or legal holiday, period extends to next business day. Return automatic. Is a foreign adoption decree automatically recognized by the state? Yes, if the decree is by a court following due process of law. When will a U.S. birth certificate be issued? The State Registrar of Vital Statistics will issue a U.S. birth certificate of a child adopted in an Arkansas court upon receipt of the certificate of adoption, proof of DOB and place of birth of the child, and a request from the court decreeing the adoption, the adoptive parents, or the adopted person if s/he is 18 years or older. Are adoption subsidies available? When do they start and how long do they last? Yes, adoption subsidies are available for a special needs child as defined by one of the following: 9 years or older if white, 2 years or older if of color, member of a sibling group who share at least 1 biological parent/have lived together prior to adoption or have a special bond, have ongoing medical/psychological needs that require treatment, at high risk for or has developmental, physical, mental, or emotional condition documented by a professional. In addition, the child must be in the custody of the state of Arkansas. The adoptive family must undergo a means test to determine if the family’s resources exceed state eligibility requirements. Starts upon adoption finalization. Adoptive parents, the child’s guardian, or any welfare agency with custody of the adoptee. Following the death of the adoptee, the adoptee’s children or their guardians and the widow/widower. Who may access identifying information? Available upon request to any person with access to non-identifying information. Can adoptees obtain their original birth certificates? Only available upon court order or as provided by regulation.